Mi Joya: Something bitter, something sweet.. 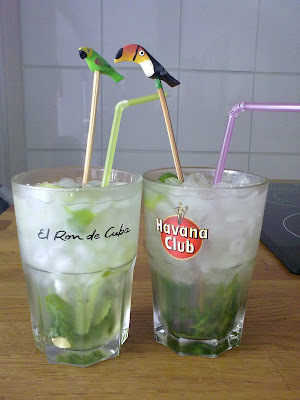 The last days have been really nice here... one reason more to have a little party with friends & our favourite cocktail: mojito!! Bf loves to make them, and to be honest, he does an excellent job! Friends love them & keep coming back for more! More of this old wallpaper..